Who says you can’t be a big kid on Halloween? Gabrielle Union and Dwyane Wade made sure to join in the Halloween costume festivities with a dope Halloween couple look that the Internet can’t get enough of. 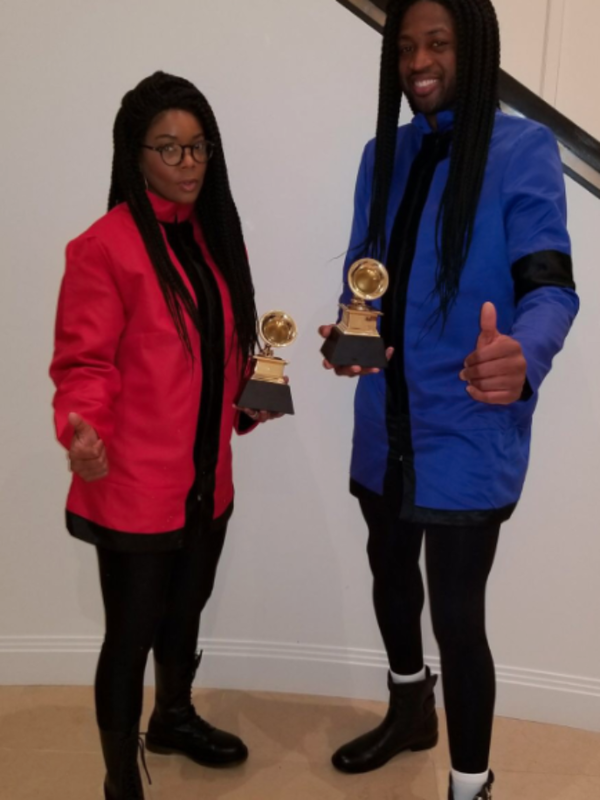 The couple dressed as infamous 90s R&b duo Milli Vanilli–complete with their Grammy awards, bright colored suits and a dance routine. Union and Wade kept the fun times going for LeBron James’ Halloween bash which brought out the best costumes from all of their famous friends. The Wades weren’t the only couple to have a little fun when getting in the spooky spirit this year. The actress and NBA star certainly had to do a double take when another couple dressed up as them from their trip to Paris Fashion Week in June. Now this is how you have some Halloween fun!